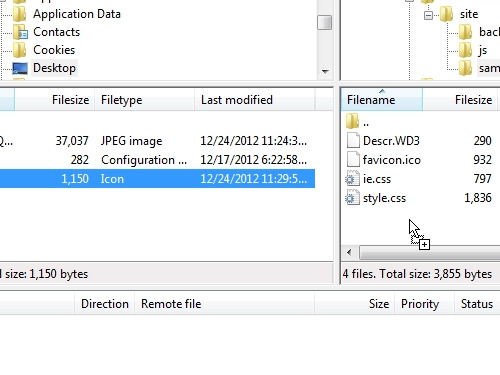 In this video tutorial we will show you how to add favicon. In order to add a favicon, open the Internet Explorer and type in your web site address. In the top left corner of a web page you can see your favicon. 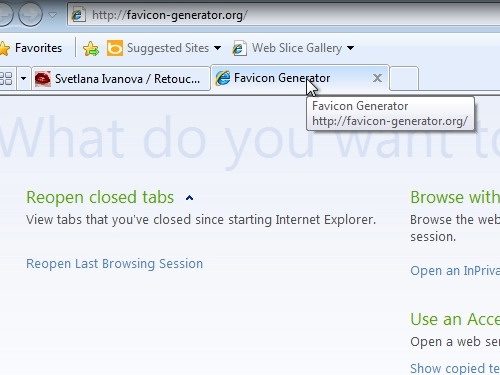 Now open a new tab in Internet Explorer and type “favicon-generator.org”. 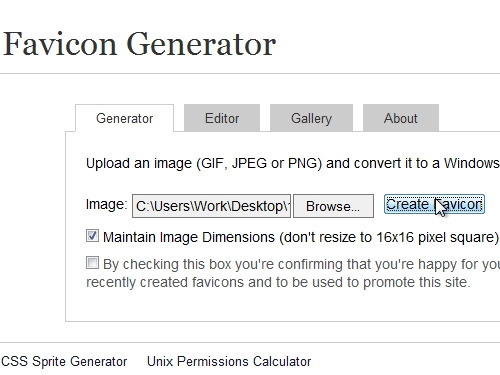 Click on “Browse” and choose an image you want to make a favicon from. In the next window choose “download the generated favicon”. Save it on a hard drive. Now open “FileZilla”. Go to your website, and choose the root folder. Drag a newly created favicon and drop it into the root folder of your site. Press “Ok” to overwrite the file. Then go to Internet Explorer and refresh your web page to see the changes. If the favicon did not change, close Internet Explorer. 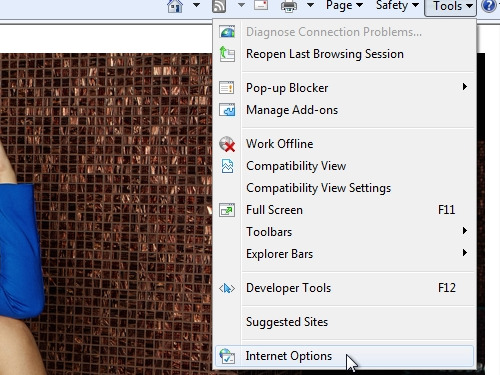 Open Internet Explorer again, type in your web page address. If the changes are still not visible, go to the “Tools” tab and choose “Internet Options”. In the opened window click on “delete”. 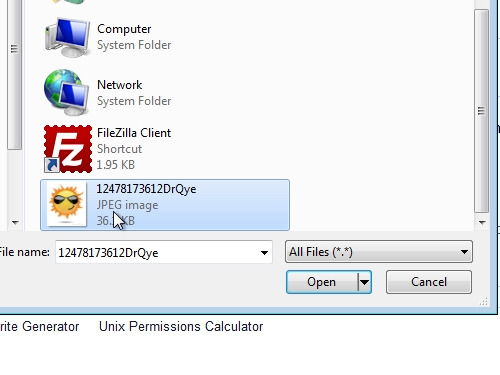 In the following window check files to delete and press “Delete”. Reopen Internet Explorer and enter your web site address again. Now you should see your new favicon.